Two weeks ago, as I posted here, I was lucky enough to be the recipient of a fantastic gift from my family: tickets for my wife and I to travel to Kentucky and go to an event titled “Pappy For Your Pappy.” The event is exactly what the title insinuates – over Father’s Day weekend, it is a dinner at Buffalo Trace Distillery where Julian and Preston Van Winkle join those lucky diners in the Elmer T. Lee Clubhouse to sample Pappy Van Winkle through the meal. With a birthday so close to Father’s Day, my sister and mother presented us with tickets as a birthday gift last year, and we enjoyed the event so much that we relished the opportunity to go back. That said, the Pappy craze, not close to slowing up, made it such a hot ticket that this year, one had to enter a raffle just to get the opportunity to buy tickets! My sister was fortunate enough to be drawn, and so they presented us the tickets as a gift and sent us on our way. 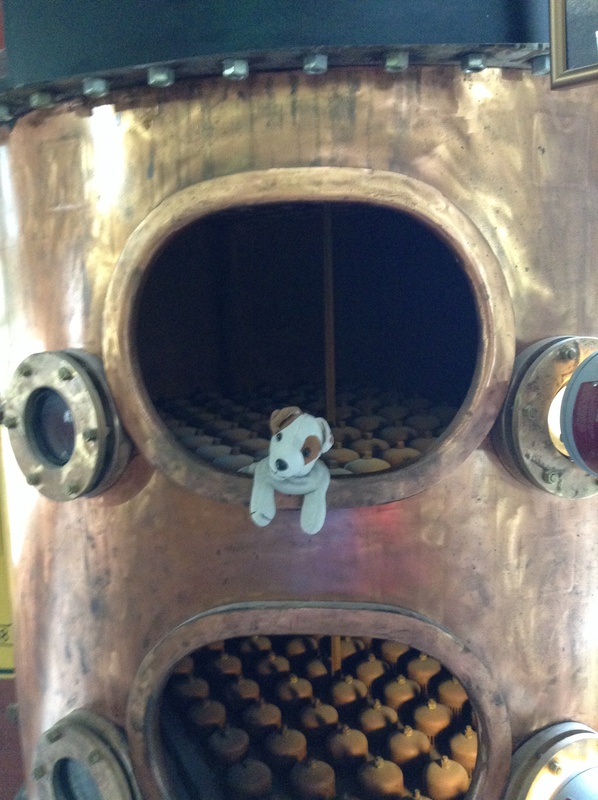 Last year, we spent the time exploring distilleries and the local area. 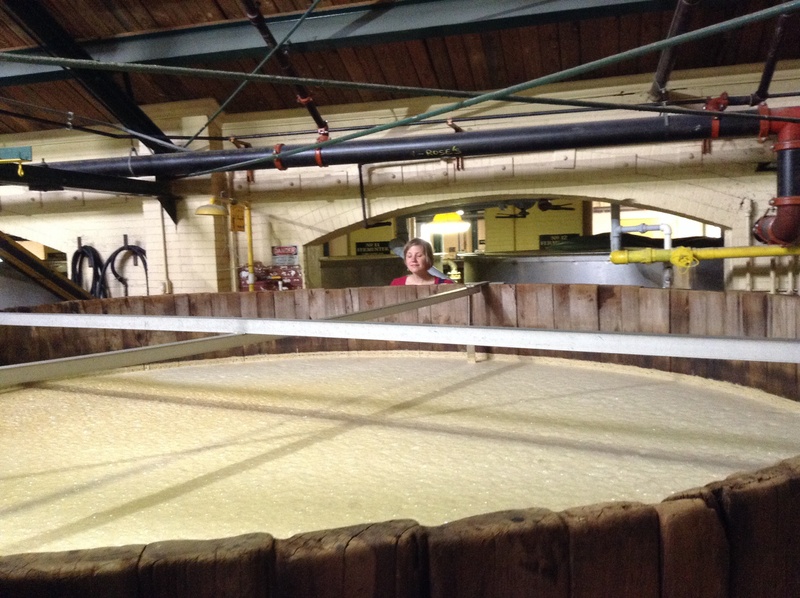 We toured Woodford Reserve (which I will recap in the future here), and Lexington Kentucky, and spent a lovely evening staying at Shaker Village. This year, with the event on Friday (as opposed to Saturday), we revised our plans a bit: we headed down Thursday evening, staying in Harrodsburg (at the lovely Beaumont Inn), and made plans to visit the distilleries at Four Roses, Wild Turkey, Willett, and Buffalo Trace, as well as *gulp* zip line in caverns under Louisville. There was only one problem – my stomach disagreed. I awoke Friday with a case of stomach flu that turned my mood as dour as the cloudy, rainy weather. 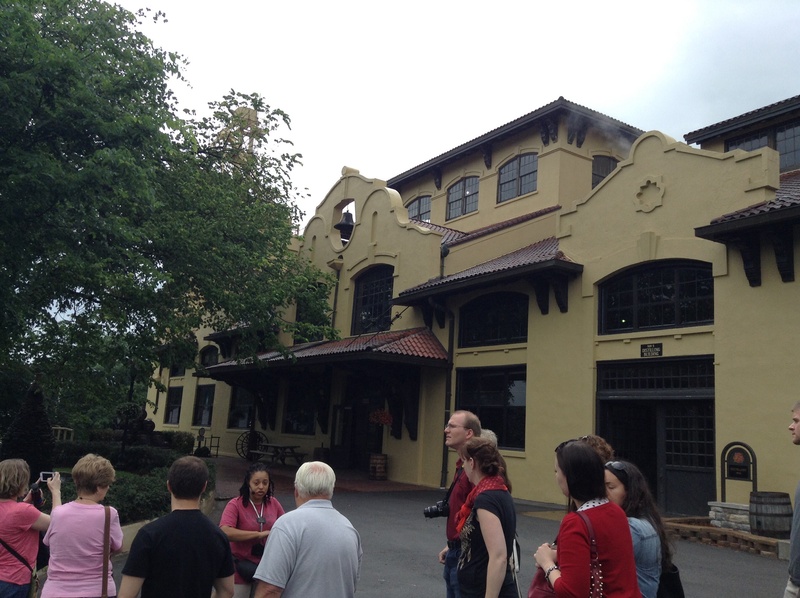 But it didn’t dissuade us from trooping forward – we headed over to Four Roses to tour the beautiful facility. And beautiful it is – the uniqueness of a Spanish Mission style set of buildings against the rolling Kentucky backdrop certainly makes you feel just a little out of place. As you might imagine, there are roses everywhere, and so we parked our car and headed on inside. 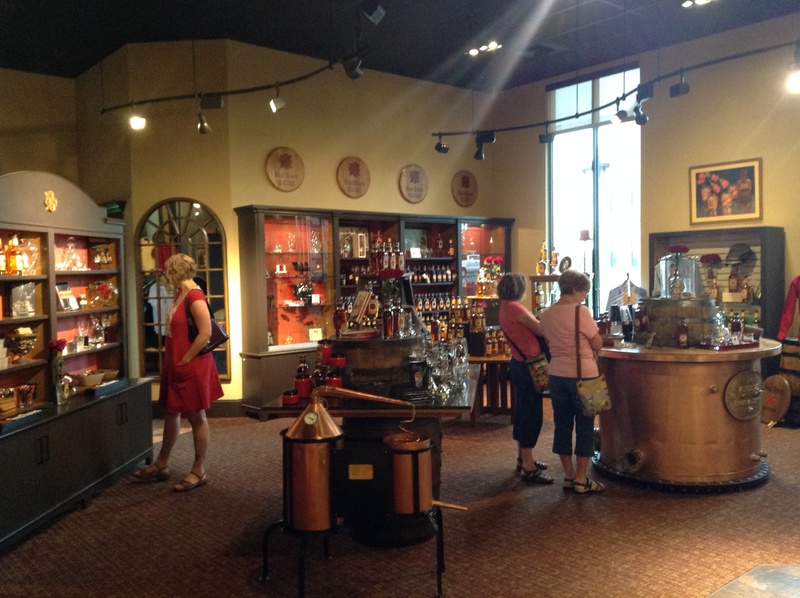 Bourbon is huge business here in Kentucky, and the distilleries all know it – the gift shops in every place I’ve visited rival those of any National Park or recognizable tourist site, and Four Roses is no exception. 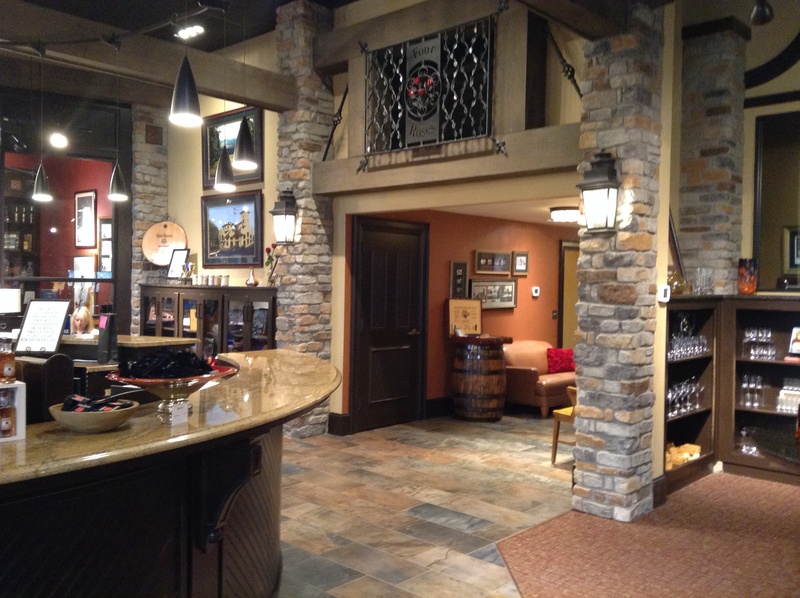 Their Gift Shop is large and full of every product you might want, including bottles of their yellow label, Small Batch and Single Barrel products. Like most other distilleries, there were no available bottles of the more rare and sought after specialty pours, like cask proof, anniversary editions, etc. But it was a pleasant place to spend an hour while awaiting our tour (there is also a nice pavilion outside). 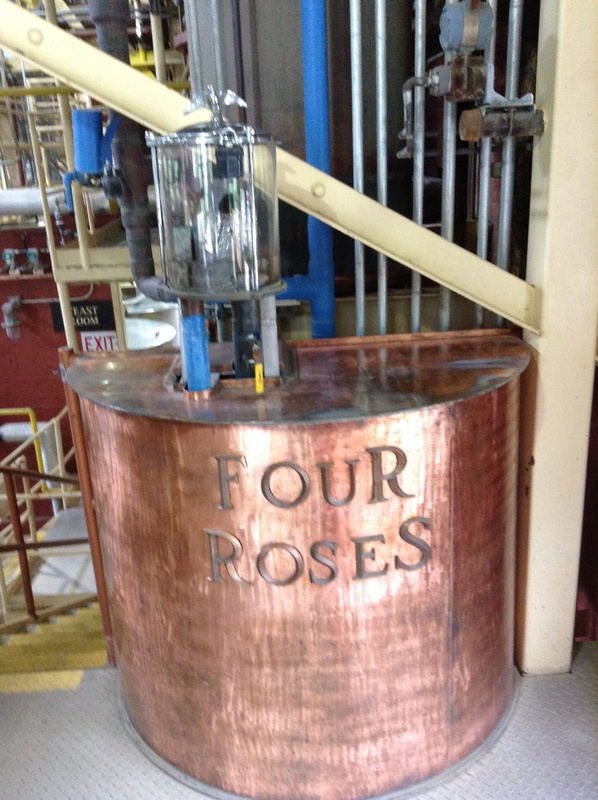 The tour itself starts with a video explaining the history of Four Roses, and to those who know, it is a unique history indeed: Four Roses was arguably the most popular bourbon in America for many decades (interesting fact – the large advertisement behind the kissing sailor/nurse Times Square V-J day photo? Four Roses!). In 1943, it was purchased by the Canadian Seagrams company, and in the mid-1950s Seagrams shifted the bourbon sales to emerging markets in Japan and post war Europe, while abandoning Four Roses bourbon altogether in the United States. Unfortunately, though, they continued the name Four Roses, but changed the product to a low quality, blended neutral grain whiskey. I was unaware of that history myself until I gave my father a bottle of Single Barrel Four Roses last year for Father’s Day. He enjoys a good whiskey, but is not particularly a drinker, and one day mentioned to a friend that I had brought him a bottle. His friend scoffed and suggested I was trying to kill him with a bottle of rotgut! My father had to inform him that those days of horrible product are passed. 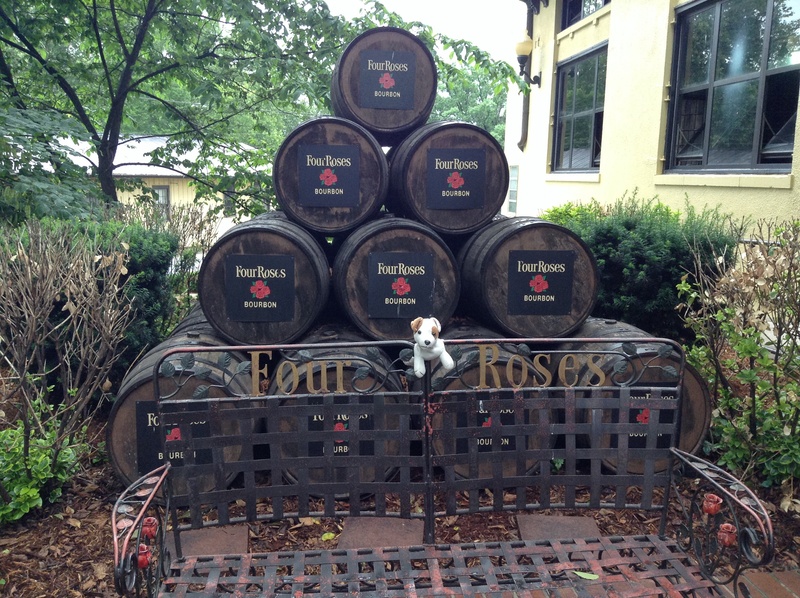 In 1995, Four Roses brought in Jim Rutledge as Master Distiller and, in the early 2000’s, thanks to some sales and acquisitions, Seagram sold Four Roses to Japanese company Kirin, who have restored the reputation and quality of the Four Roses label and returned product to American shelves (while eliminating the offensive rotgut). 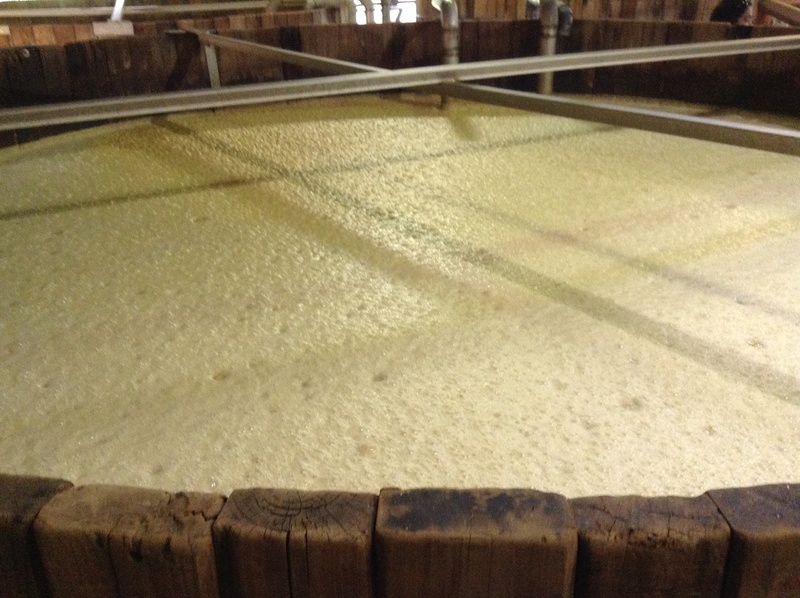 The tour then started in earnest, where our guide explained that Four Roses uses two main mash bills, and utilize five different proprietary yeasts. making a total of ten different casked bourbons. 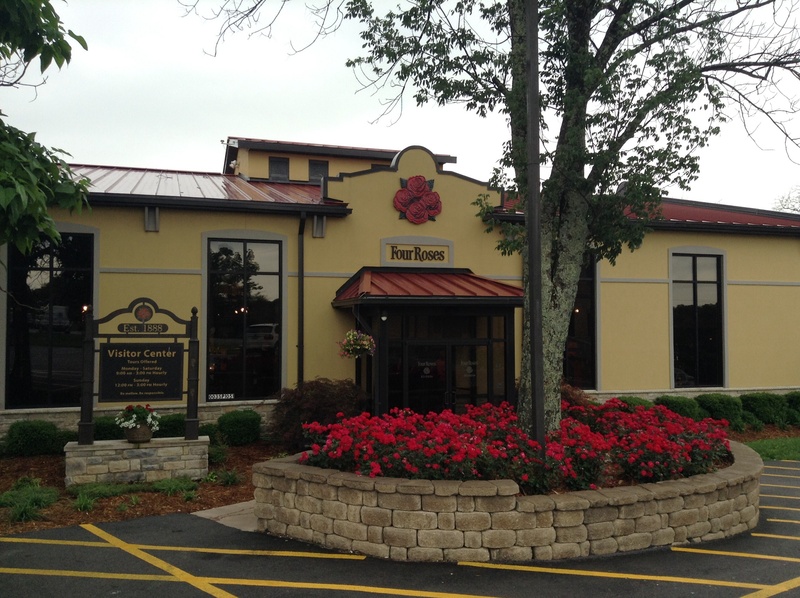 Four Roses uses single story barrel houses (at a different location). After the film and walk through, we started the tour. 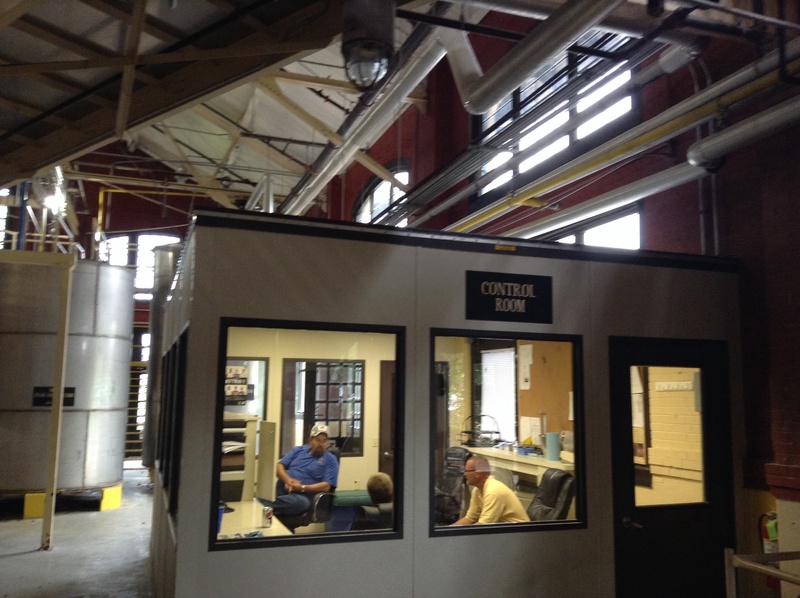 The tour itself takes about 45 minutes, and is a good glimpse inside a medium sized Bourbon producer. The barrels are filled and stored offsite, so it really is only distilling taking place here, and while they certainly take it seriously, it isn’t as ‘craft’ as Grand Traverse was, nor as large as Wild Turkey. 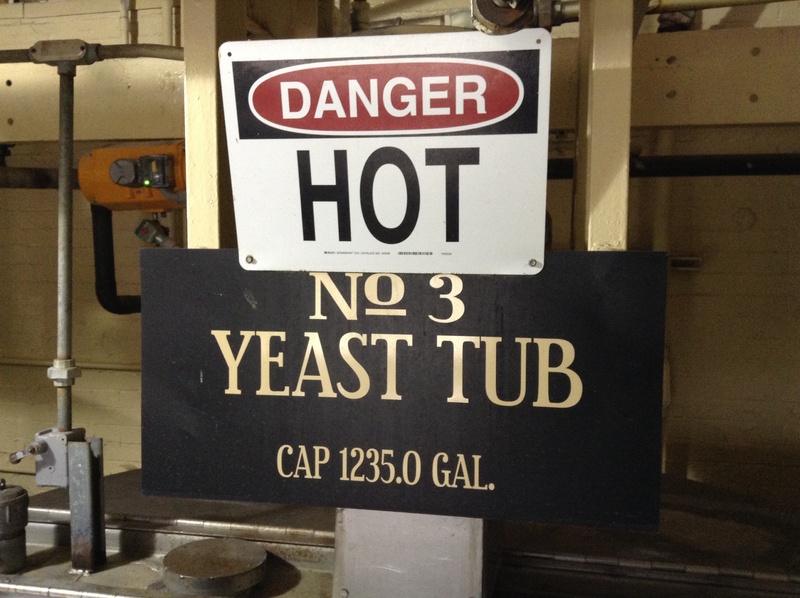 After walking through the fermenting, distilling and preparation processes – they fill up tanker trucks to deliver to the store houses an hour away – we headed inside for the best part: tasting! 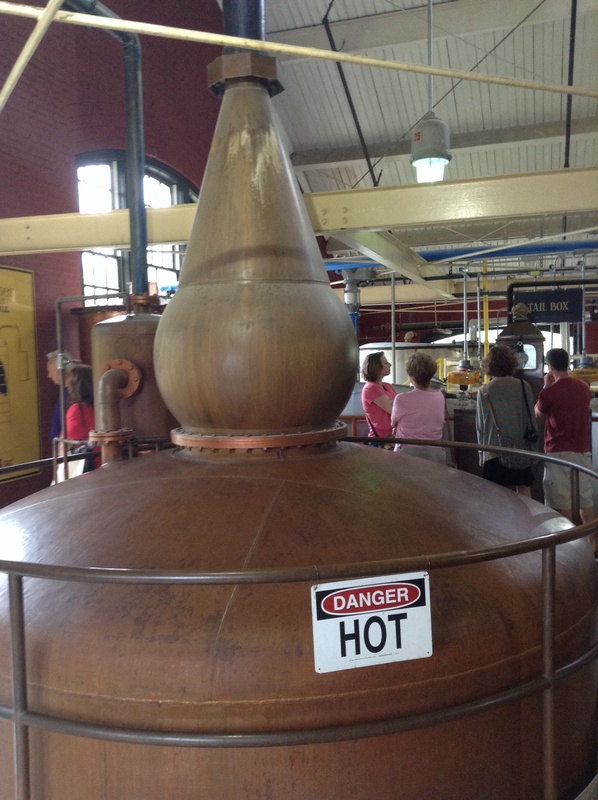 There, we enjoyed all three available bottlings, thanked our guide, and moved on down the road to Wild Turkey. Stomach bug be damned, there was bourbon to taste! In our next post – it’s Wild Turkey, and dinner with the Van Winkles!